Exposure & Response Prevention | Blog It Back! This year at the OCD Conference I spent all of my time at the Exhibition Hall. I was exhibiting, “ERP in a BOX“™ and as a result, hundreds of people told me about their challenges with OCD. I’ve never talked with so many people at once about ERP and it was energizing. People from all over the world stopped by and shared their stories. We had a lot of laughs with two women from Japan and had a thought-provoking conversation with a young man from Germany who is working hard for the USA on climate change. I was especially concerned about a couple who stated there is no therapist in India to help them learn about Exposure and Response Prevention. I encouraged them to come back to the USA, rent an apartment and attend an intensive outpatient program like Rogers Behavioral Health. I met a Mom and Dad who told me how their son had been hijacked by OCD. Thankfully, he broke free and their story brought me to tears. I told them I wanted to meet their son and they introduced me to him later on. His eyes were bright and he grinned from ear to ear. As soon as I laid eyes on him I said, “up top” and we shared a “high-five.” I know how hard he had to work to get free. I met two of the girls that were in the movie UNSTUCK. (Which, by the way, should have won an Oscar Award for Documentary Feature.) It was an incredibly moving experience to watch hundreds and hundreds of people thank these kids and their parents for raising awareness about OCD and ERP. A very energetic and brilliant doctor introduced herself to me. I wish she saw patients because she reminded me of an OCD whisperer!!!! Instead, she is devoting her time to very important research for the OCD Genetic Study @SUNY Downstate Medical Center. She’s hunting down the OCD gene. Well-known for his treatment of skin picking, the famous Fred Penzel stopped by our exhibit and chatted with us for a while. He’s quite the history buff in addition to being a leading OCD specialist. The doctor who usually treats celebrities with addiction, Dr. Drew, was in the house as a keynote speaker. He only breezed through the Exhibit Hall so we didn’t get to chat. I’ve seen on Facebook and Twitter “A Penny For Your Intrusive Thoughts” and met one of the founders of this movement. It can be a triggering site for people with OCD. Not that there’s anything wrong with that. Right??? It’s an opportunity to practice using #bossitback skills! This is something I am asked about all the time: Deep Transcranial Magnetic Stimulation. This is a noninvasive brain treatment and its FDA application for the treatment of OCD is pending. The doctor at this exhibit approached me inquiring about my availability to help with this research. Yeesh…I don’t know how but I’d certainly try to find the time. 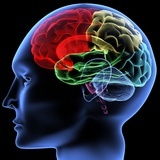 TMS and ERP combined to reduce the volume of white matter…KAPOW! Near our exhibit, an OCD Foundation affiliate out of Jacksonville Florida had a table displaying very cool FEARLESS swag from Natural Life. 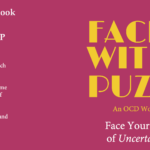 If you’re looking for gifts to give people with OCD this is a meaningful place to check out. One of my favorite moments was being able to hug people I’ve only known through Facebook or through this blog. (I’m so glad you came by to say hello!!!) And finally one of the highlights of the weekend was to see an OCD thriver break out with dance and song at karaoke! She was belting it out! Now that’s a healthy coping skill! Each year I attend the conference it’s apparent that OCD awareness is reaching new and brighter heights. It was validating to hear so many people say that “ERP in a Box” is brilliant. But, it was invigorating to meet so many OCD thrivers because of ERP! You know what I say, “Nobody is healed until everybody is healed!” I’m not going to stop thinking of ways to beat OCD. This and so much more happened at the OCD Conference! Save the date. The next one will be 7/19-21 in Austin Texas. Compulsions might help you avoid discomfort but the price you pay is enormous. Every single compulsion feeds OCD. Anything you feed gets stronger. He said, “Son, the battle is between two ‘wolves’ inside us all. One is troubled. It is worry, anger, envy, jealousy, sorrow, regret, greed, self-pity, guilt, resentment, inadequacy, lies, self-loathing, and fear. Compulsions feed the troubled wolf…the OCD. So of course in order to beat OCD, compulsions must stop. If it’s hard to do is it worth pursuing? The relief from a compulsion is only temporary! Yes, compulsions can provide relief. But, for how long? It’s similar to the relief an addict gets from drugs. It’s a vicious cycle. You just end up needing more. It might initially feel good but on the other hand, it makes you feel powerless and stuck in a hamster wheel. What If Resisting Compulsions Makes Me Feel Worse? Compulsions help you to avoid. Avoiding is costly. Besides, ask yourself if compulsions are sustainable. Is this truly something you want to do for the rest of your life? Once you start it’s hard to stop. You get good at what you practice. Are you sure you want to keep practicing compulsions? All compulsions help you do is avoid. Are you sure you want to get good at avoiding? In what way do you benefit from doing compulsions? If your answers are the ones below, hopefully, you know this is nothing more than trickery. Are these the reasons you think you benefit from compulsions? My compulsions are protective and keep bad things from happening. You’d be rich and famous if that were true. This compulsion keeps me from feeling gross. No, actually it keeps you from feeling anxious. Gross is just another word for anxious. The only way I can feel “just right” is by doing this compulsion. How many people stop and think, “I can’t leave my house until I feel just right?” To be concerned with feeling “just right” is exactly what drives you to feel “just wrong.” People who don’t think about feeling “just right” typically feel..just right! Until the compulsion is completed I won’t be able to sleep. This just means you’ll have to do compulsions every night for the rest of your life in order to sleep. Is that really what you want? You’ll discover the only benefit to a compulsion is temporary relief from anxiety. That’s it. There is no other benefit. And is that really a benefit–to avoid anxiety for brief moments of the day? Wouldn’t it make better sense to learn how to experience the anxiety? The only reason you’re performing compulsions is that you don’t <<yet>> know how to experience anxiety. Any other reason is just a story that your very creative brain has made-up. I’m prescribed drugs to help me feel better, so why can’t I use a compulsion to feel better? I’m not a chemical warfare expert but there’s a huge difference between the purpose of taking a medication and performing a compulsive behavior. Prescribed medications like Prozac or Luvox help you to experience your anxiety. Compulsions help you avoid anxiety. If you are having trouble being with your anxiety talk to the person prescribing your medication. Resisting compulsions might initially make you feel panicky, but if it continues and you’re not having much success saying no to OCD, a medication adjustment might help. It seems like I get rid of one compulsion only to develop a new one. How can I make sure I don’t start a new compulsion? The answer to this question is twofold. 1.) Evaluate the way you are talking to OCD when you’re resisting compulsions. 2.) Consider the possibility that you haven’t come to terms with your lack of control over what actually happens in life. If new compulsions are popping up, perhaps you haven’t really confronted your core fear. You’ve resisted a compulsion which is the “B” of Cognitive Behavioral Therapy (CBT). You’ve changed a behavior. But without the “C” of CBT, you haven’t grabbed the bull by the horns. Your response must sound like this, “Yup. You might be right OCD. That might happen. Time will tell.” Just nod your head in agreement and resist the compulsion. You might not feel in agreement with what you’re saying. 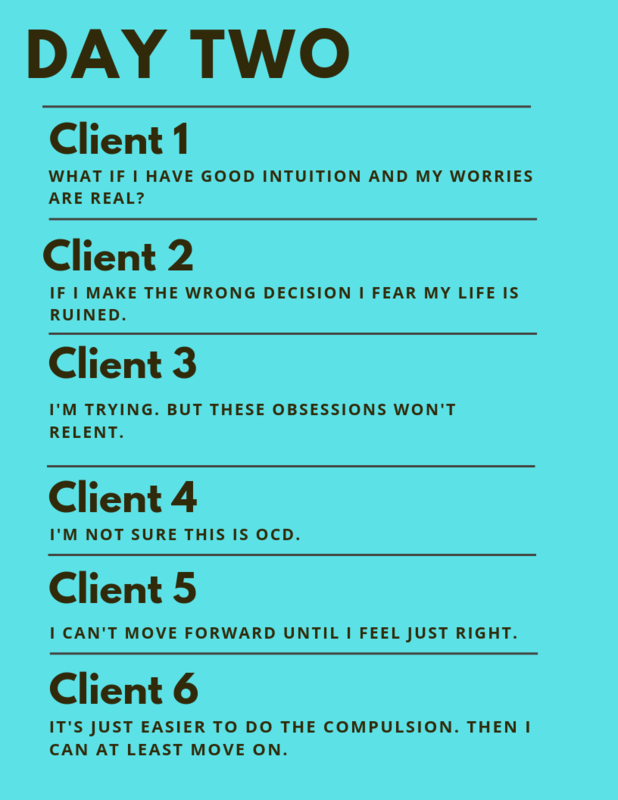 You’re telling OCD you don’t care but you probably really do. It’s okay. Keep talking tough. Answer none of OCD’s questions. Shrug at OCD and say, “whatever.” Sound like a broken record and just keep repeating your “I don’t care” act. Fake it ’til you become it. This is a mental Kung Fu game you must play with OCD. Do You Practice Radical Acceptance? The answer seems to always come back to whether or not you are willing to see what happens next. Be curious to see what happens in this very moment. The only other choice is to try and control what happens. We know where that gets you. It’s better to accept whatever happens happens. If in this moment you are experiencing anxiety, be curious about it but not analytical. Curiosity is the opposite of fear. If nobody else has to do these compulsive behaviors neither do you. Stopping compulsions isn’t just about halting the repetitive behavior. Another compulsion will just pop up. OCD morphs into all kinds of things until you finally start to accept the anxiety. First of all, your obsession is just noise. What really needs your attention is your anxiety. Most importantly, every time you are in the process of performing a compulsion acknowledge the repetitive behavior is just your way of avoiding anxiety. The only time the details of your thoughts and beliefs is of any interest is when you’re trying to figure out how to provoke your anxiety. Provoke your thoughts. Don’t argue with them. Shrug and say, “time will tell” or “maybe, maybe not.” Step toward the threat and embrace the anxiety. Build an ERP hierarchy and move forward. Finishing a compulsion might feel good. But, it’s temporary. The anxiety returns. In no time at all, another compulsion is needed. Practice radical acceptance. Whatever happens happens. Otherwise more compulsions are likely to pop-up like a whack-a-mole. I Used to Be Afraid of Elevators. I Took Steps to Overcome It. 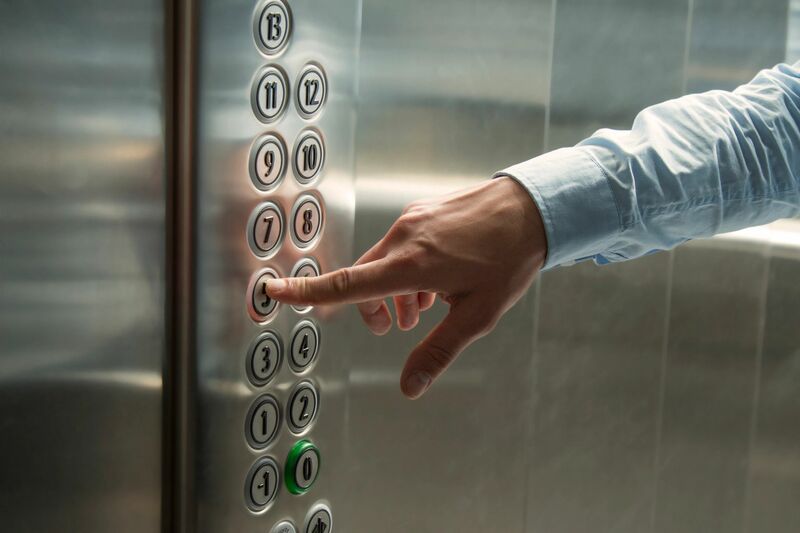 “I took steps to overcome my fear of elevators.” Ha-Ha funny play on words. But, what does it mean? You took action steps to work towards being able to ride elevators? Or, you’re being sarcastic and you “overcame” your fear by avoiding elevators and taking the stairs? Your life will be better if you take action on the things you avoid. Your life will be better if you avoid unpleasant and seemingly dangerous things. 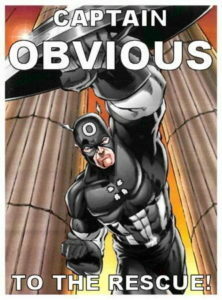 Are you picturing Captain Obvious right now? There’s no way avoidance can make life better. Right? Hmmm…then why do so many people avoid unpleasant things? Why do people procrastinate? Why do people avoid triggers that cause anxiety? Avoidance must make life better! Otherwise, why do people do it? I searched the Internet for evidence that avoidance makes life better. It’s what people do so there’s got to be value in doing it. Right? The list goes on and on. But, I could not find any bit of research to prove avoidance makes life better. Every shred of evidence pointed to the fact that it makes life worse. Not the anxiety, the avoidance. The avoidance makes life worse. So what to do? Become AWARE of the truth! Accept the anxiety. It’s here to stay. Live your life with anxiety. Watch the anxiety. Don’t evaluate it as good or bad. It just is. It’s not dangerous. Only your reaction to anxiety can be dangerous. Act normally. Act as if you don’t have anxiety. Expect to handle whatever. Whatever happens, happens. You’ll handle it. If you’ve been avoiding for awhile, of course it seems easier to avoid than confront. Hello Captain Obvious! But, if you could remember the first days you avoided, it was hell. You beat yourself up. You lost sleep over it. You were torn up over what to do. It was so hard to get it perfected. It was hell! Walk through your house for 72 hours touching nothing and nobody. Nobody can be be in the same room you’re in at the same time. Be very careful not to brush up against anything. If you think you brushed up against anything, go back out of the room and come back in. Don’t sit down. You can only squat. You can only eat Cheerios using chopsticks. When you sleep the only way you can be in bed is if you first wash the bottom of your feet while sitting on the edge of your bed. And you can only sleep, no matter how cold you are, on top of the covers looking up at the ceiling, with your hands folded behind your head. The first 24 hours you do this, you’ll be agitated and stressed. The second day, it’ll still be hard but you’re getting better at it. By the third day, everyone around you is properly trained to stay away. You’ve figured out a few tricks to make it easier to avoid. You’re tolerating this kind of life better than you were the first 24 hours. Imagine in two weeks how much easier it will be. Avoiding is only easy because it’s what you’ve been doing. It didn’t used to be this easy! You’re tolerating avoidance better now, than you did in the beginning. The same can be said about confronting. At first it’s anxiety provoking. You’ll feel indecisive and lose sleep. But, in time, it’ll get easier and you’ll tolerate the anxiety. You get good at what you practice. You can teach yourself to tolerate anything over time. Don’t say, “Confronting my fears is easier said than done.” Once upon a time avoiding was hard. But you did it anyway. Is Anger Making Your OCD Worse or Better? What Role Does Anger Play in the Symptoms of OCD? As a therapist who specializes in the treatment of OCD, I notice a trend. 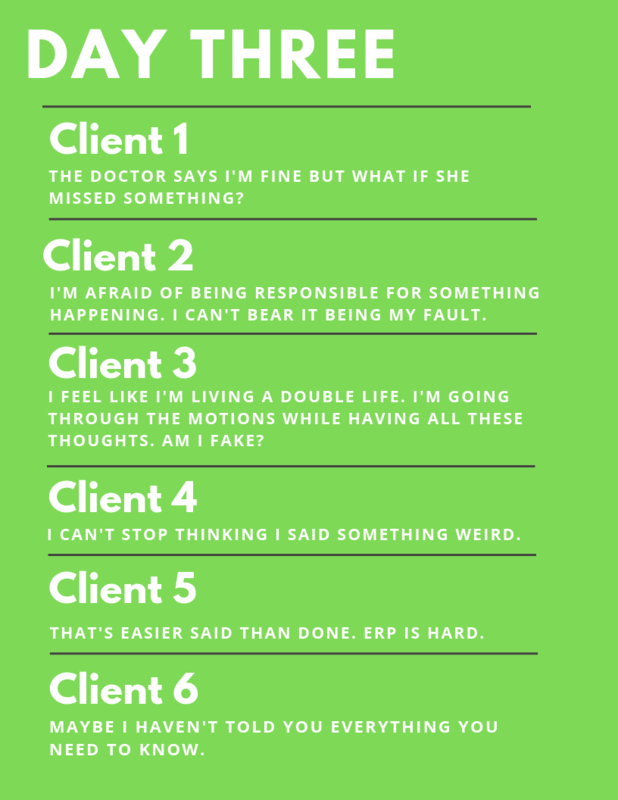 Clients struggle with feelings of anger. The anger is directed outward and/or inward. If the anger is directed outwards there could be verbal outbursts and even aggression towards property or people. There are heated arguments at home, holes punched in walls and sometimes the police are called. For some the anger only surfaces when compulsions are being resisted. If they increase their compulsions, their anger significantly decreases. If compulsions are prevented, anger rises. Initially, having OCD can result in the development of maladaptive defense mechanisms. A common one is to detach emotionally. 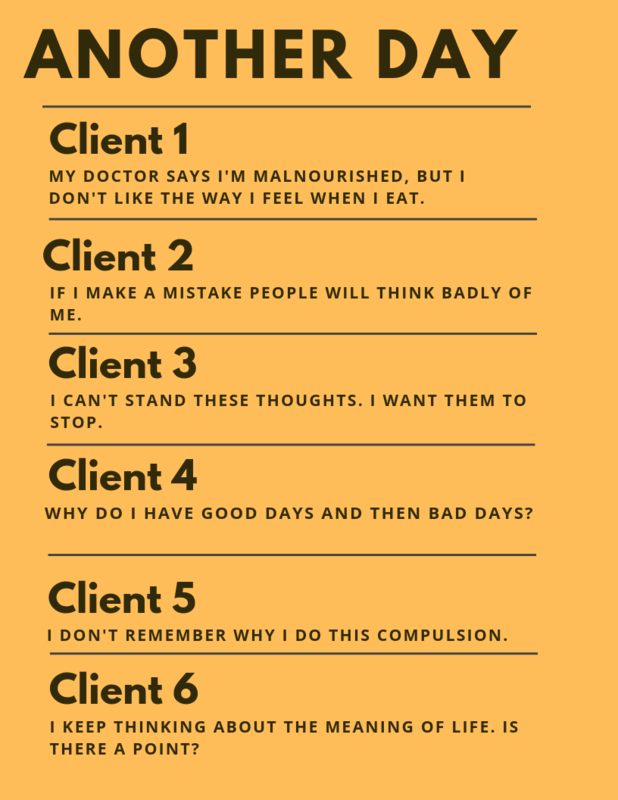 This is a common reaction to repeated trauma, which is exactly what an untreated OCD can be. Trauma and torture. Having OCD can be very traumatic. The anxiety can be overwhelming. To be protected from the unbearable fear and pounding negativity the brain fragments, compartmentalizes and encodes in a way that causes emotional numbness. Compulsions Are Used to Alleviate Anxiety and/or Anger. A person with OCD manages their anxiety with compulsions. There might be a story attached to the compulsion. “I shower like this to protect my child from getting sick.” But, that’s just the story behind the compulsion. The real reason for the compulsion is to alleviate anxiety. Likewise, a person with OCD manages their anger with compulsions. Anger doesn’t seem like an acceptable, or safe emotion to have. There might be a story attached to the compulsion. “I stay away from knives to protect my family.” But, that’s just the story behind the compulsion. The real reason for the compulsion is to alleviate anger. What difference does it make if compulsions are done to alleviate anxiety or anger? In either case compulsions have to be resisted in order to be set free. So what does it matter if there’s anxiety or anger underneath the compulsion. In this case, I would help the person with OCD learn to tolerate anxiety. Much of my blog is about this. Can the same be said for anger? Should anger be tolerated? Experiencing anxiety is not a health hazard. But, resisting anxiety is. Resisting anxiety is detrimental to one’s heart, immune and digestive system, and hormone production. Resisting only causes stress levels to rise. The same can be said about anger. Notice anger the same way anxiety is noticed. Notice the angry thoughts without judging. What is the speed of your thoughts? What is the anger saying? What is the anger seeing? How does the anger feel? Do I feel hot or cold? What body sensations am I feeling? What is the speed of my heart? Am I experiencing any muscle tightness? What is my breath like? What position are my eyes in? What is my facial expression? Talk to anger with loving attention. There is a difference between accepting anxiety and acting anxious. Feeling anxious must be accepted. Acting anxious is engaging in compulsive behavior and/or mental rituals. 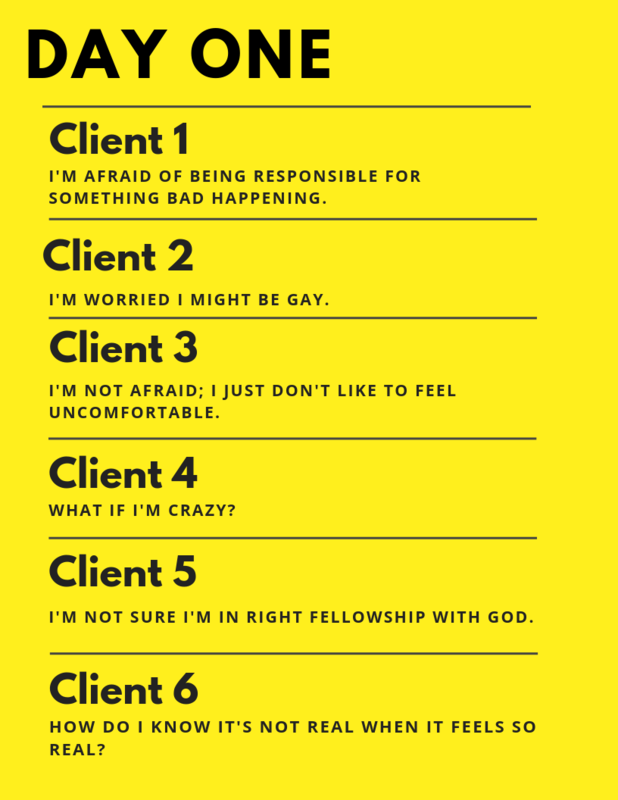 Acting anxious looks like avoidance and reassurance-seeking. Acting anxious, like rocking back-n-forth, or rubbing hands feeds anxiety. It’s okay to feel anxious, but it’s of no benefit to act anxious. There is a difference between accepting anger and acting angry. Having OCD is not an excuse for lashing out or mistreating self or others. You can say what you mean, but you don’t have to say it mean. Fueling anger triggers the amygdala and kicks you into “danger” mode. Fueling anger can shut down logic and cloud judgment which leads to irrational and unreasonable thinking, which leads to regret and hurtful decisions. Anger is an acceptable emotion but fueling it is of no benefit to a brain that is already sounding false alarms. Be aware when you’re experiencing anger. If you don’t pay attention to it, you’re building a fire. The anger is uncomfortable and you’re naturally going to worry about it or want to get rid of it. Instead of channeling your energy towards avoiding or getting rid of anger, acknowledge it. Notice it. Recognize your urge to do a compulsion is an effort to alleviate anger. Turn towards the anger and practice mindfulness exercises.